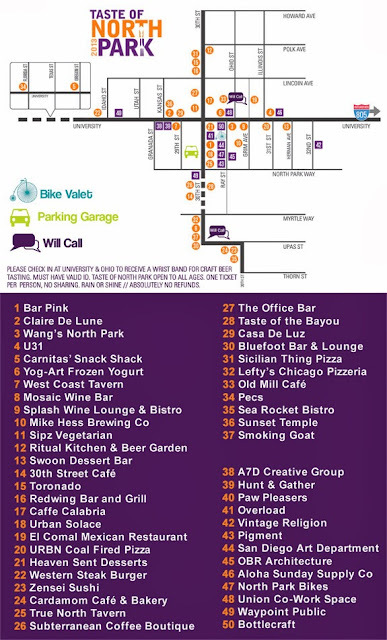 Stroll along the streets of San Diego’s hippest neighborhood while you sample food from North Park’s famous eateries, sip craft brews from San Diego’s best breweries and shop at a wide variety of boutiques and galleries at the 5th Annual Taste of North Park, taking place on Saturday, Oct. 5 from 11am-4pm. For one ticket price of $35 you will enjoy over 40 restaurants and 12 specialty brews. 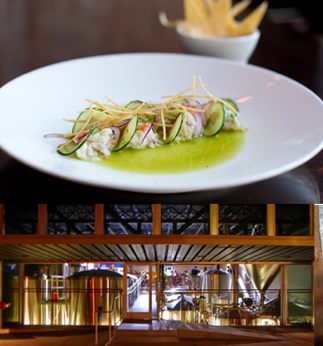 Each restaurant location will offer bite size tastes of house favorites while the galleries and boutiques offer a chance to shop while sipping award winning micro-brews. This self-guided walking tour will offer well-known chef specialties, vegetarian and farm-to-table creations served up by the finest restaurants in North Park. In addition to satisfying your appetite, visit the participating galleries and boutiques along the way and shop around as you quench your thirst with an array of complex microbrews. If you need a break, hop on the trolley and make your way to San Diego’s first parklet in front of Caffe Calabria while you sample some of their delicious roasted coffee. 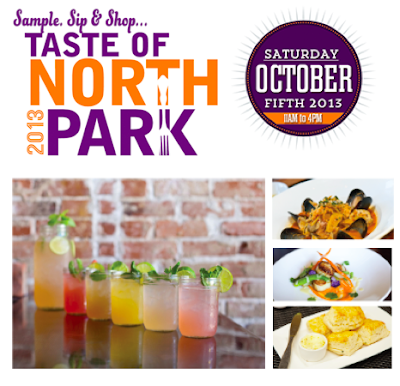 The Taste of North Park offers participants an opportunity to sample from popular restaurants like URBN Coal Fired Pizza and Ritual Tavern while also taking in the eclectic boutiques like Aloha Sunday and Pigment, where craft brewers will be serving up 4oz samples of crafted beer. For one afternoon this delightful event gives foodie fanatics and beer enthusiasts the perfect opportunity to find that new dinner spot or favorite new brunch hangout. Tickets to the 2013 Taste of North Park can be purchased online for $35. Ticket price increases to $40 on the day of the event. For more information, visit tastenorthpark.com and follow on Facebook, Twitter and Instagram.